Red Bull Racing Australia's Jamie Whincup has answered the question - is he quick enough to take his first win of the year? 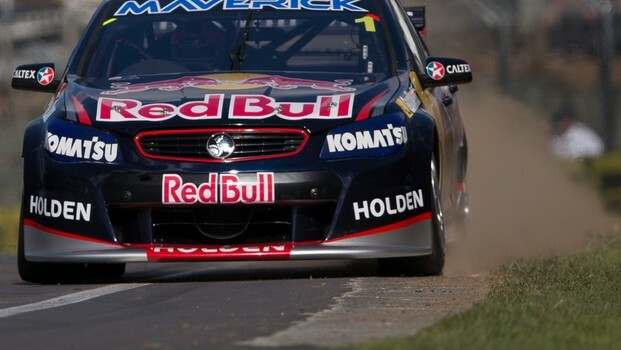 With an extraordinary lap in the top 10 shootout which saw the champion sideways, over kerbs and dropping wheels onto the grass, Whincup bested Fabian Coulthard to claim the ARMOR ALL Pole Award for Race Six with a 1min02.7600sec. He and Coulthard were the only drivers to get within the 1min02s. However, it is believed car 14, Coulthard, is under investigation for exceeding circuit limits. 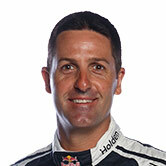 The last three challengers in the shootout each went to the top, but it was last-released Whincup who had the goods. Times in the session followed with Mark Winterbottom, Jason Bright, followed by Scott McLaughlin, Shane Van Gisbergen, Alex Premat, Garth Tander (who will be penalised two grid spots), David Reynolds and Craig Lowndes. Lowndes had a messy lap, running right off track and recording a time in the 1min04s. Race Six begins at 1:10pm local New Zealand time.